■You have been doggedly stubborn and have had MY Way. ■You have not been humble to repent and return to the ways of the Lord. ■sometimes sin (1 John 1:5 – 2:2). Only a liar would deny that he/she never sins, and that confessing our sins to Christ is required for Christians to obtain forgiveness. ■ can depart from God and be hardened by sin. “Beware, brethren, lest there be in any of you an evil heart of unbelief in departing from the living God; but exhort one another daily, while it is called ‘Today,’ lest any of you be hardened through the deceitfulness of sin” (Heb. 3:12). ■ leave their first love (Rev. 2:4-5). Paul also warned, “let him who thinks he stands take heed lest he fall” (1 Cor. 10:12). Christians are God’s children, and Jesus taught us that we can go to our Father and ask His forgiveness — we can address Him as “Our Father in heaven” (Matthew 6:8). ■ repent of our sins before God will grant forgiveness (Acts 8:22). Repentance signifies a change in one’s mind or heart that brings about a change in action. ■ confess our sins before we can be forgiven – “If we confess our sins, He is faithful and just to forgive us our sins and to cleanse us from all unrighteousness” (1 John 1:9). This is not a confession of faith in Christ, but confession of our sins – admitting oneself guilty of what one is accused of, resulting from an inward conviction. ■ pray in repentance and confession (Act 8:22) remembering that we have “an Advocate with the Father, Jesus Christ the righteous” (1 John 2:1; Heb. 4:14-16). God “will again have compassion on us, and will subdue our iniquities. You will cast all our sins into the depths of the sea” (Micah 7:19. Our sins will be removed “as far as the east is from the west, so far has He removed our transgressions from us” (Psa. 103:12). God will blot out our sins and remember them against us no more (Psa. 51:9; cf. Acts 3:19). Our sins are wiped out of His memory, never to brought up again! Praise the Lord! What assurance from our loving Father. If others are involved anytime, we are commanded to forgive them, for Jesus said, “Forgive, and you will be forgiven” (Luke 6:37). Jesus also taught that “if you do not forgive, neither will your Father in heaven forgive your trespasses” (Matt. 6:15; Mark 11:26). In order for reconciliation to take place we have to try and help others to forgiveness. “Take heed to yourselves. If your brother sins against you, rebuke him; and if he repents, forgive him. And if he sins against you seven times in a day, and seven times in a day returns to you, saying, ‘I repent,’ you shall forgive him.” (Luke 17:3-4). Remember — He has loved you with an everlasting love. So get right with God and man, if you have done wrong and recommit yourself once again to Him being Lord of your life. Do not wait to get back into fellowship with God and man – for our disobedience and choices have consequences. 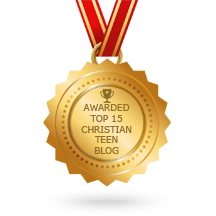 This entry was posted in A CLICK A BLESSING TODAY, CHRISTIAN LIFE AND THE WORD, CHRISTIAN TEENS BLOGS and tagged blame, confess, God, Have Thine Own way, love, repent, sin. Bookmark the permalink. It is always good to periodically take a rein-check on our lives as sin enters insidiously and we do not want to be hindered by sin in our relationship with our loving Father. Amen – may we never falter in reconciling with our loving Heavenly Father. He is the most important Person we must be at peace with. Definitely worth re-posting. Thank you for a truth filled look at our lives. It is always good to periodically take a rein-check on our lives as sin enters insidiously and we do not need to be hindered by sin in our relationship with our loving Father. In addition to forgiving seventy times seven when others have sinned against us, we are also instructed to “leave the altar and go and make right whatever was wrong between you and a brother and then come back to make your offerings”. This is all part of this reconciliation process you so correctly outline as part of confession of sin and coming back into the fold. Yes, we are reminded to make right in God’s sight before we partake of Holy Communion too. 1 Cor 11:28 But let a man examine himself, and so let him eat of that bread, and drink of that cup. 1 Cor 11:29 For he that eateth and drinketh unworthily, eateth and drinketh damnation to himself, not discerning the Lord’s body.1 Cor 11:30 For this cause many are weak and sickly among you, and many sleep. 11:31 For if we would judge ourselves, we should not be judged. The Lord is indeed awesome in forgiving us of our shortcomings, by His grace and mercy.